The purple squirrel is the ideal employee - but how do you find one, and how do you win them over? The purple squirrel is a recruiter's myth - the candidate who perfectly matches the job requirements from education and skills to personality and long term goals. But are they real? There's debate about whether too many employers try to find the perfect candidate instead of the best of their options. However, with so many more job seekers looking, many employers have more choices than ever. According to Google research, the difference between hiring a top technologist and an average one equals 300 times more productivity, so why not take the time to find the best candidate for the job, and not just the best from the first round of applications? One suggestion from recruitment experts is to look for the unaware purple squirrel – a top performer who doesn’t yet recognize their value. Passive candidates can be easier to attract because they’re not actively seeking the best possible option. “Hiring a purple squirrel can be a challenging process which demands significant extra input from the hiring manager, but those prepared to put in the groundwork, be adaptable and innovative, will reap the benefits,” Dumeresque said. But what if you could make your own purple squirrel? 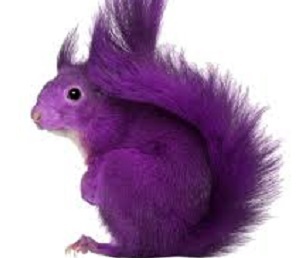 Organisations sometimes overlook the internal potential to find the external super star but by increasing expectations and putting more faith in the range of applicants your organisation attracts your HR team can find and develop future purple squirrels. As part of succession planning and talent development, invest in training that matches the skills required at higher levels. “Pushing aside such individuals to scour the forests in search of a sasquatch that already knows everything the second there’s an advancement is hardly the most efficient way to get ahead of the competition,” Dumeresque said.